I hate baptismal shells. You know, those tiny little silver shell-shaped scoops used to carefully drip water on a baby's head at baptism. I've never wanted to admit this before since, not only was I likely baptized with one (along with water and the Holy Spirit, of course) at St. Mark's in Milwaukee in 1968, but many of my friends and colleagues swear by them. Plus, what self-respecting Episcopal sacristy doesn't have a beautiful antique baptismal shell that's been used at the baptismal font for generations? But, please, let me explain. My problem with baptismal shells is that, in my opinion, they domesticate the rite. The thing is, baptism isn't merely a quaint rite of passage; something to precede the real event: catered brunch back at the house. When getting the baby “done” takes precedence over the power of God’s Spirit working within us, baptism loses its entire raison d'être. We might as well just take an ordinary bath or a dip in a hotel pool. rite of total immersion into the Christian faith and the ministry of all the baptized and of being marked as Christ's own forever. In whatever manner we were baptized, we can’t live our lives as if we’ve been sprinkled with a few drops from a cute silver shell. We must live our lives of faith with the reckless abandon of total immersion. 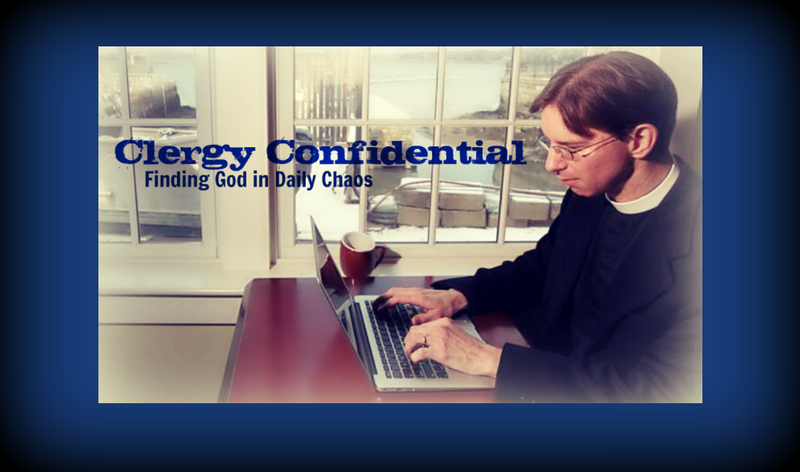 Let's face it, our relationship with God is not always a neat, tidy, orderly affair. It can get messy. And baptism, as both an initiation rite and as a continuing symbol of relationship with Christ, should reflect this messiness. There should be water splashing around! And the shell, to me, is just too precious. A symbol of trying to contain the Holy Spirit rather than unleashing it. So if you come to a baptism at my church, you might get wet. 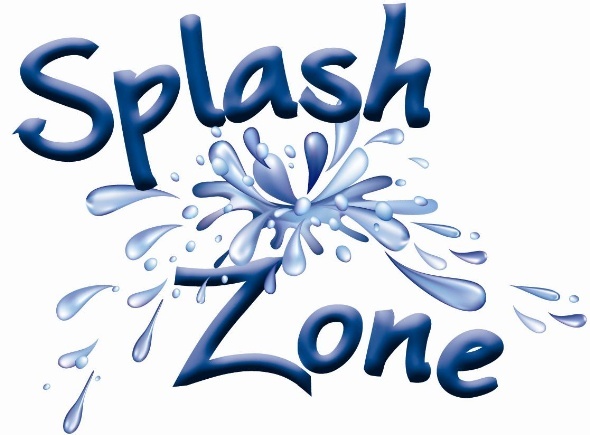 I like to warn people that the area immediately surrounding the baptismal font is the “splash zone” -- you sit there at your own risk. No, I won't go far as baptism by full immersion -- trying to jam an adult into our smallish font just isn't happening. But I'm all for full spiritual immersion, something the shell just doesn't seem to convey. And anyway, as we mark the Baptism of Our Lord, it's hard to imagine John the Baptist, after screaming "You brood of vipers!" at the Pharisees and yelling at all to "Repent!" sprinkling just a few drops of water from a tiny shell onto Jesus' head in the Jordan River. With you on this one, Tim. I use my hands. The shells are too Victorian-precious for me...this is a visceral act, this baptism, and it shouldn't be turned into tschotchke land. Not a fan of holding our sacraments out at arm's length. The practice of intinction comes to mind. Germs schmerms! Aly at St. John's, our priest allowed me to pour the water into the Baptismal Font and e asked not pour slowly. I dumped it right in with water splashing! It was awesome and the congregation ( in the few couple pews) got wet. It was a great reminder of own baptisms! Great Blog!!!!!! AMEN! I refused to use them for 30 years. And water needs to splash! Thank you! I have come to feel the same way about the chrism. No neat dabbing a thumb in the pyx and sketching a damp cross on the forehead. Pour that oil right on the baby's head. The fragrance will waft around the sanctuary and the congregation's sense of smell will tell them something special has been done even if they can't really see what is happening. And yes, the altar guild will survive the initial case of heart failure when the water in the font suddenly looks like the pasta pot. Ears, eyes, and nose should all be involved. And, fie on so-called 'private baptisms." In my 40 plus years as a priest I've never done one. It's a major service Sunday morning event! Whew. After reading this, I'm relieved that we don't use a baptismal shell at the Church of the Redeemer in Baltimore! A few years ago for Vacation Bible School we centered the whole week around baptism. We had water games galore every evening as we talked the kids (and us adults) through what baptism meant and continues to mean in our lives. We went home squishing every night. The kids still talk about that week. Amen on this one! 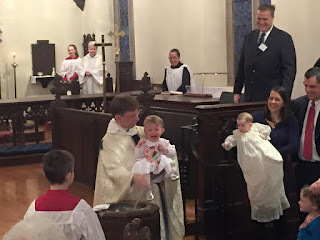 When my daughter was baptized, the "shell treatment" was given and she didn't like it at all. What I hear though is that churches are starting to go different routes. Maybe ours will do the same. I'm with you. I was raised in another tradition and immersed at my baptized. I've always been an immersion fan, but at the very least, just no shells. A broken clock is right twice a day, and my archemesis is also right on a occasion. This post is spot on. Baptism should be messy -- lots of oil and water. But you are still my sworn enemy. "The scallop shell is the traditional emblem of James, son of Zebedee, and is popular with pilgrims on the Way of St James to the apostle's shrine at Santiago de Compostela in Galicia (Spain). Medieval Christians making the pilgrimage to his shrine often wore a scallop shell symbol on their hat or clothes. The pilgrim also carried a scallop shell with him, and would present himself at churches, castles, abbeys etc., where he could expect to be given as much sustenance as he could pick up with one scoop. Probably he would be given oats, barley, and perhaps beer or wine. Thus even the poorest household could give charity without being overburdened." I agree and so did Aidan Kavanaugh; famous RC liturgy scholar; who would angrily growl that it "vitiates the sacrament." Former Roman Catholic, Episcopalian for two decades here -- Didn't even know that these baptismal scallop thingies even existed. Fascinating. Baptism should be always be a hands-on splashy affair. It's Holy Water. Who wouldn't want to get in on a drop or two?